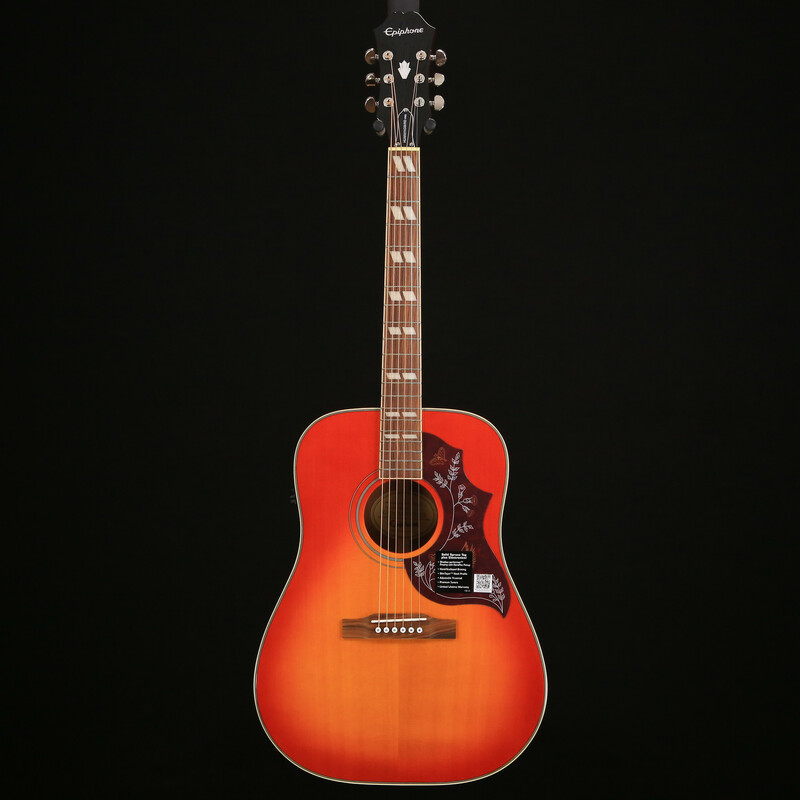 The Epiphone Hummingbird PRO Acoustic/Electric guitar brings the legendary country/rock "Hummingbird" into the 21st century with the new Shadow™ ePerformer™ preamp and Shadow NanoFlex™ pickup system. 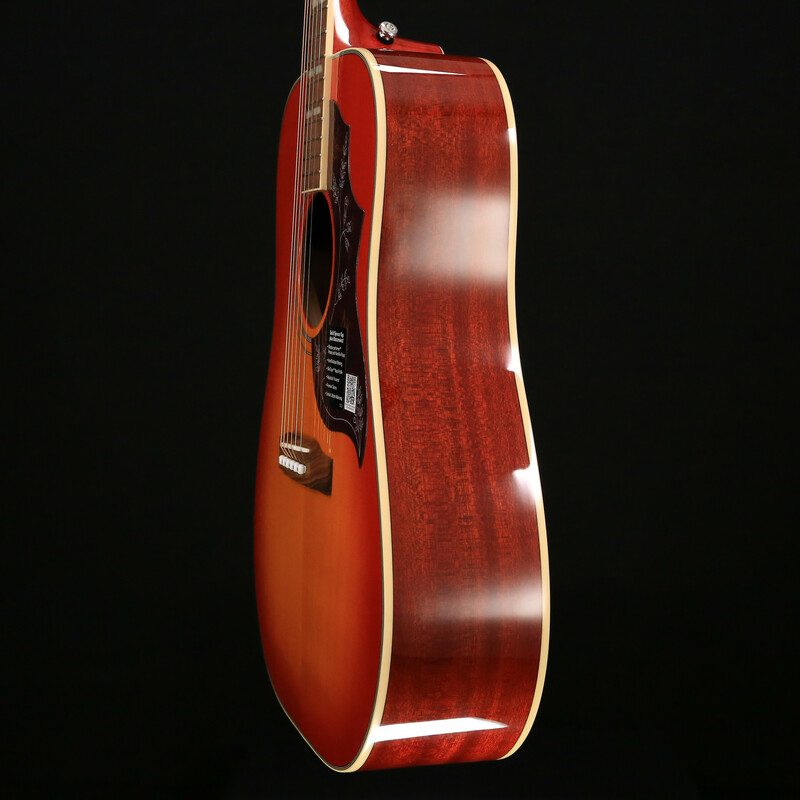 First introduced in 1960, the square shouldered Hummingbird quickly became a classic thanks to Keith Richards of The Rolling Stones, who used a Hummingbird for rhythm on early Stones hits like "Satisfaction," "Play With Fire," and "Under My Thumb." 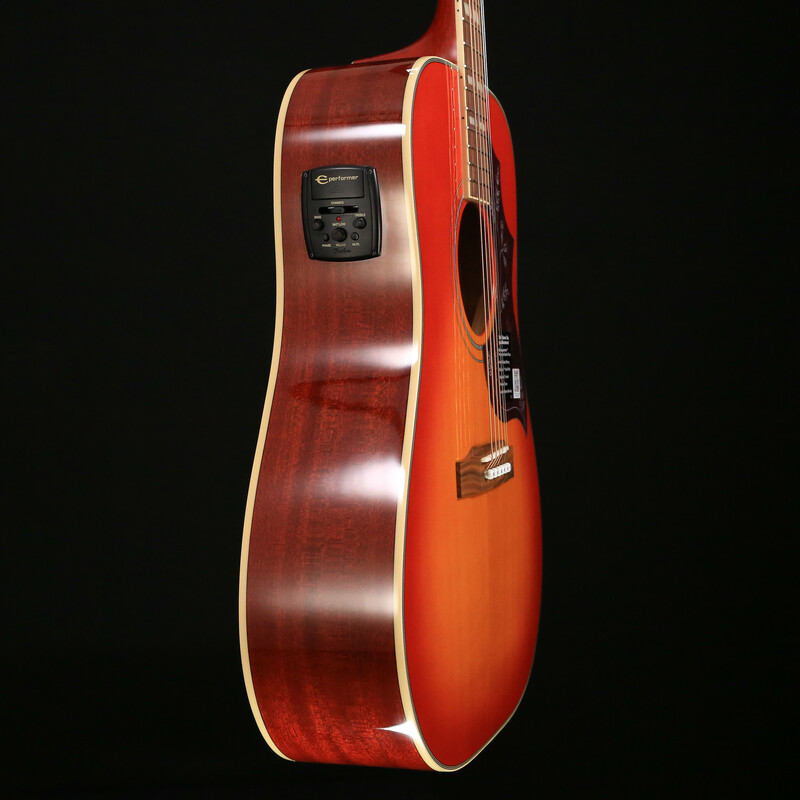 There are also many classic photographs of Richards using a Hummingbird on sessions for Exile on Main Street, Goat’s Head Soup, and Sticky Fingers. 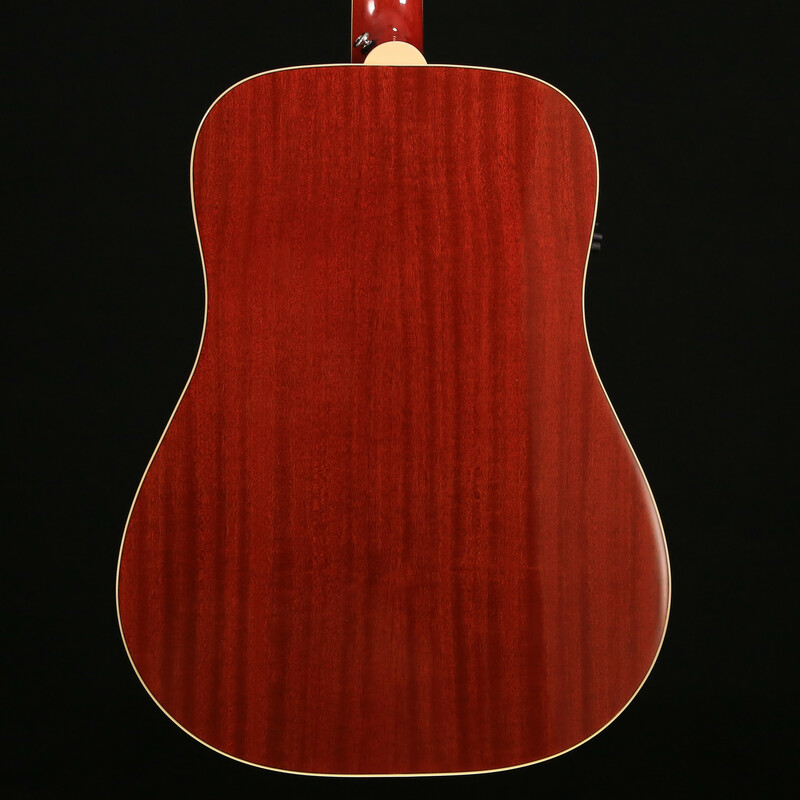 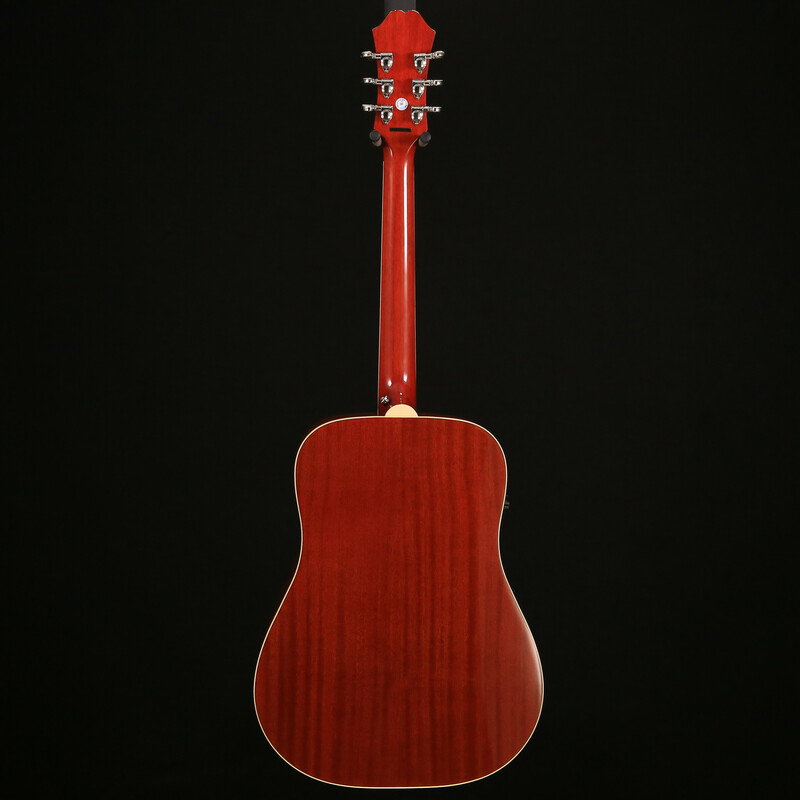 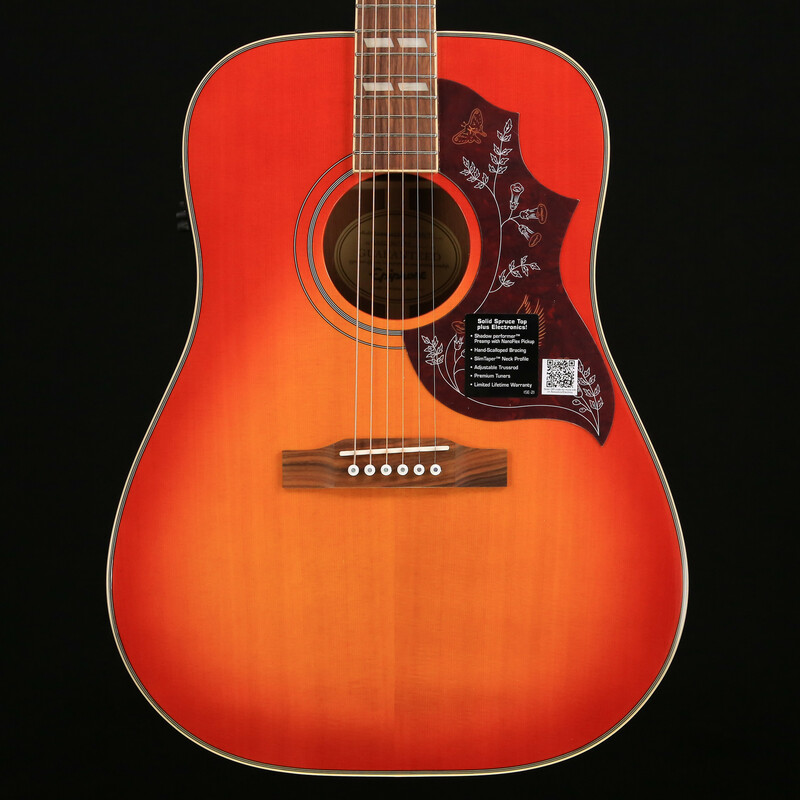 Today, the Hummingbird is still a go-to acoustic for rockers like Noel Gallagher, Sheryl Crow, and Kid Rock when they need a rhythm guitar with smooth action and superb “woody” tone that’s full of character. 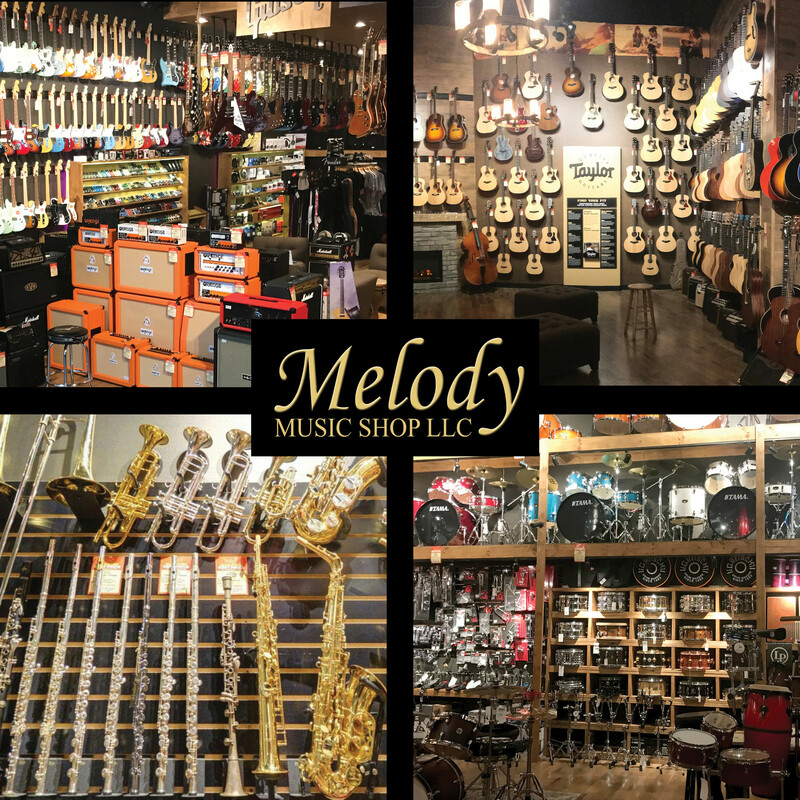 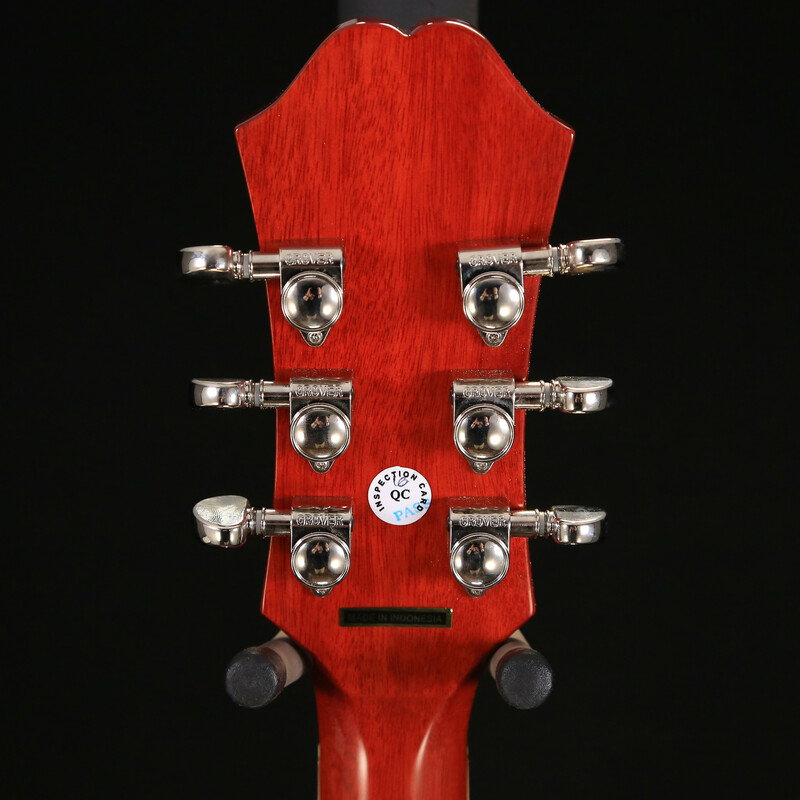 Though there are many guitars that claim to be "historic" or "vintage" styled, only one comes with a Limited Lifetime Guarantee and Gibson 24/7/365 customer service and the experience of a century of guitar making. 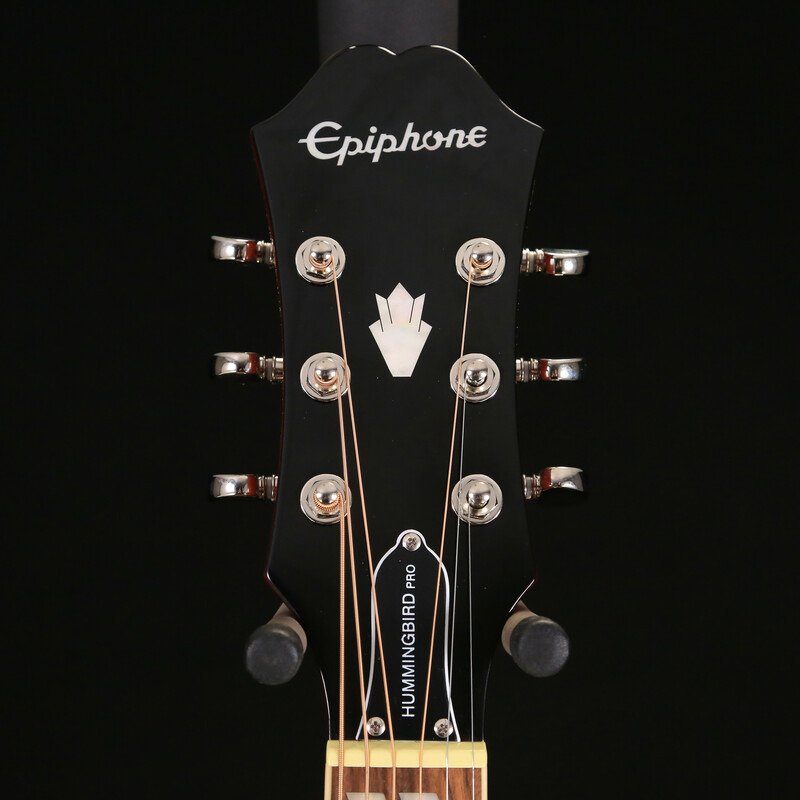 Go with the best. 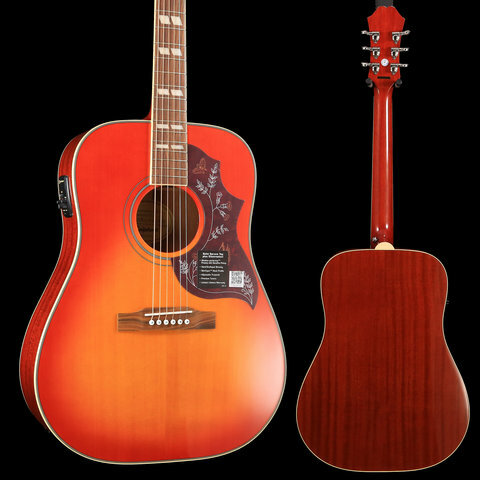 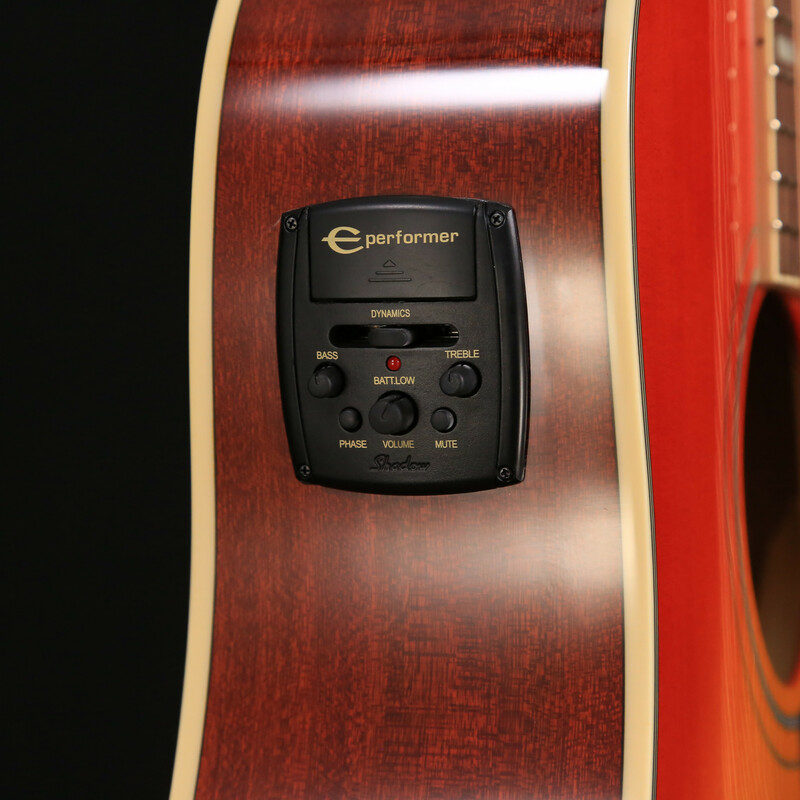 Visit your Authorized Epiphone Dealer and plug in with an Epiphone Hummingbird PRO Acoustic/Electric today.